Registered nurse schools in Idaho prepare the applicants for entry-level job positions in areas of nursing practice and various healthcare settings. After completion of the program, you become eligible to showcase the ability to apply the nursing process in a caring, competent and safe manner, and act in compliance with standards, legalities, ethics and professional values. The program programs offer learning through classroom, clinical and laboratory sessions. You get opportunities to gain hands-on-experience under the guidance of experienced nurses. In order to register for the nursing program, the candidate must accomplish the following requirements. The candidates are required to complete the general education. At the time of enrolling in an RN school, you should not be less than eighteen years. Fingerprint clearance card needs to be submitted by you. It is mandatory for all the contenders to submit their complete resident verification form. The applicants who wish to apply for the program must have a clear criminal history. You will be terminated from the program if your criminal background or drug test is found positive. The Cumulative Grade Point of the candidate is supposed to be 2.5 or higher. The aspirant must submit his/her CNA certificate. You will have to score seventy-five percent or above marks in the English language and eighty percent or above marks in Math. Submit valid photo identification and the proof of purchase of professional liability insurance. There are many ways to become an RN. Basic courses are Bachelor of Science in Nursing (BSN) and Associate Degree in Nursing (ADN). In addition, post-graduate programs like master and doctorate degree in nursing are also available for the aspirants. All these programs vary in terms of duration, cost and coursework. Associate Degree in Nursing: An associate degree is a 2-year entry-level program that provides you the basic knowledge of nursing. The successful completion of this course enables you to find a job in rehabilitation centers, hospitals, and long-term care facilities. However, you can’t assume supervisory positions with this degree. Bachelor of Science in Nursing: It is a conventional program that takes four years to finish. It is comprised of flexible format that combines both hands-on program and theoretical classes. BSN degree holders are given preference in nursing interviews and they enjoy better salaries than ADN degree holders. Direct Entry MSN Program: This program is designed for those individuals who hold a non-nursing bachelor degree and want to specialize in a particular field of nursing. It includes an accelerated and holistic coursework that inculcates all the indispensable skills needed to become a proficient RN. LPN to RN: Licensed practical nurses who want to earn a bachelor degree can choose this track. It refines their knowledge and clinical skills, increases their working efficiency, and inculcates nursing values. RN to BSN Program: This degree maximizes attractive job prospects with lucrative salary and higher responsibilities. It is designed for working RNs who wish to continue their studies to earn a bachelor degree. The inclusive coursework prepares nurses to work in acute, long-term care, home care and other health care facilities. 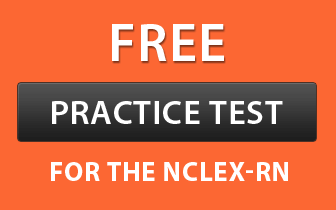 In order to appear for the NCLEX-RN (National Council Licensure Examination for Registered Nurses), it’s necessary to complete both the classroom and clinical practice. Master of Science in Nursing: This program is designed for professional nurses who aim to progress further and want to reinvigorate their skills that match with present nursing standards. The curriculum of MSN includes topics on biology, humanities, and social science that equip students with deep understanding of the evolving health care environment. A student must complete his/her nursing curriculum from an affiliated and state approved institute. For your convenience, we have listed below all the recognized RN institutes of Idaho. Note- Except Northwest Nazarene University, all other institutes offer RN to BSN program.